Cara Howe Santoro is an associate in Cummings & Lockwood's Private Clients Group and is based in the Stamford office. Cara advises individuals and entities on a broad range of state, federal and international tax issues. 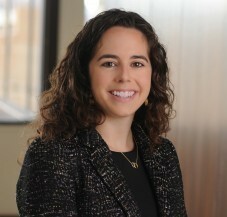 She counsels charitable and other nonprofit organizations on issues related to their tax-exempt status, including formation, governance and compliance. She also assists donors with developing and implementing their charitable giving goals. Cara works with individuals on personal tax planning and helps family businesses to operate and provide for intergenerational transfers in a tax efficient manner.